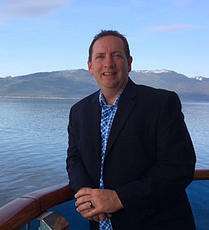 Dr. Corey Findlay is the leading chiropractor serving Silverdale, Bremerton, Poulsbo, Port Orchard and the rest of the surrounding Kitsap area. Dr. Findlay and the rest of the team at Mariner Chiropractic are committed to providing the best chiropractic care to address your unique needs, whether you are experiencing back pain, neck pain, headaches, high blood pressure, sciatica, or even muscular tightness and tension. You may be searching for pain relief after an auto accident, experiencing an injury, or if you suffer from a specific condition like chronic back pain or a spinal condition. Even if you're looking to improve your overall health, Dr. Findlay can help you attain your everyday wellness goals! Visit our testimonials page to find out what our patients are saying about our Silverdale chiropractors and our chiropractic care plans. At your first visit to Mariner Chiropractic, Dr. Corey Findlay will explain how chiropractic care works and give you a full evaluation to see how our chiropractic solutions will address your needs. We can customize a plan of chiropractic care for your condition and health goals. If you have not been to a chiropractor before and want to find out more, please Email Us or call (360) 692-5350 to receive the answers to your questions from our experienced team. We also welcome referrals, so we invite you to "Send A Friend" to share our chiropractic and wellness information with your friends and loved ones. I have been seeing Dr. Findlay for 16 years he is amazing, his compassion, likability, caring, ready to help where ever he can. Irreplaceable!!! I have been coming to see Dr. Findlay for almost 10 years now. I used to get horrid headaches with an old neck injury. My neck has always been too sensitive for most chiropractors to adjust, but Dr. Findlay does it perfectly every time! He's Incredible! I recommend him highly to all my family and friends. Dr. Findlay is the best Chiropractor in Washington. His staff is exceptional and kind! Corey even takes the time to adjust my two year old who idolizes him!! Thank you Mariner Chiro! I'm hooked. With my active lifestyle I'm not exactly kind and gentle with my body. Sometimes I am a little "humpty-dumpty". And with Dr. Findlay I have finally found someone who can put me back together again! Thanks Doc! NEW PATIENTS, FIRST APPOINTMENT IS ONLY $50.00 (INCLUDES: INITIAL CONSULTATION, EXAM, AND FIRST CHIROPRACTIC ADJUSTMENT). Mention this offer at time of booking appointment.